Construction of the Atlantic Sunrise pipeline in Lancaster County. Update, 10:24 a.m. April 19: Authorities now say that 704 pounds of explosives were stolen. The Lebanon Daily News reported that the Bureau of Alcohol, Tobacco, Firearms and Explosives said an inventory confirmed that 16 cases of dynamite were taken. Each case holds 40 sticks of dynamite that weigh 1.1 pounds each. The ATF increased its reward offer to $20,000 for information leading to recovery of the explosives or an arrest. 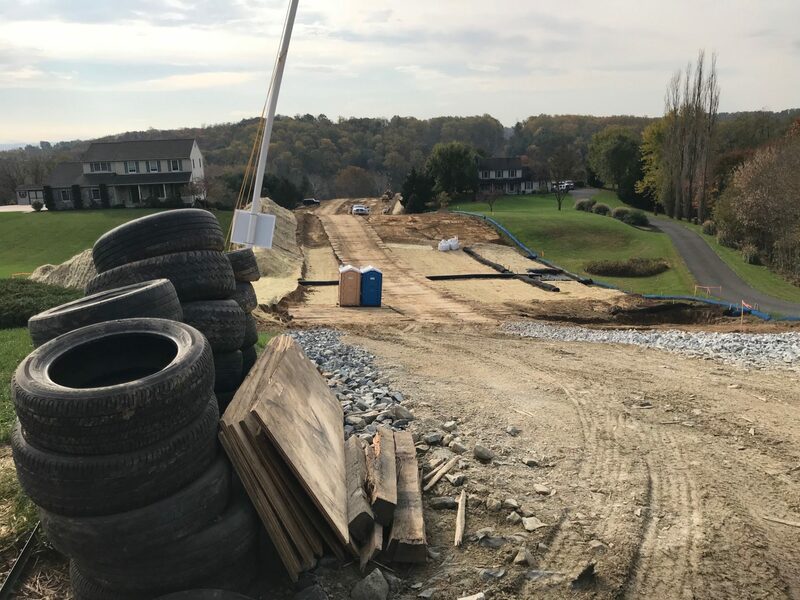 Reported previously: Authorities are searching for explosives that were stolen last weekend from an Atlantic Sunrise Pipeline worksite in Lancaster County. More than 600 pounds of dynamite disappeared from a locked truck trailer in Marietta, along with 400 blasting caps, according to the U.S. Bureau of Alcohol, Tobacco, Firearms and Explosives. Gregory General Contracting Company reported the theft to authorities on Monday after security at the site discovered the trailer door open with the locks missing. Atlantic Sunrise developer Williams said the incident took place at a storage yard operated by a contractor. The pipeline project is under construction to bring natural gas from northeastern Pennsylvania to markets across the Mid-Atlantic and southeastern United States. The pipeline will run through 10 counties: Columbia, Lancaster, Lebanon, Luzerne, Northumberland, Schuylkill, Susquehanna, Wyoming, Clinton and Lycoming. ATF Special Agent Charlene Hennessy said the bureau is working on leads provided by the public to find the explosives and the people responsible. Federal data from 2016 shows 15 reports of explosives stolen from a commercial site, she said. The ATF is offering a reward up to $10,000 for information leading to the recovery of the explosives or an arrest. Information can be reported to the bureau at 1-888-283-2662 or via the Report It website or mobile app, or by contacting 9-1-1.